Cheap flights to Mallorca: Warsaw-Palma de Mallorca for €75! Another amazing price in Ryanair’s new sale can take you to Mallorca! 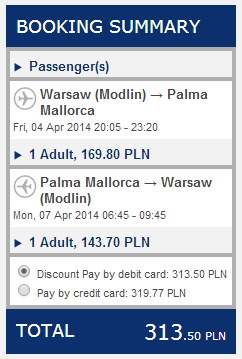 Return flights from Warsaw to Palma de Mallorca are available for only €75 / 313 PLN. This is amazing price considering the distance and you will already enjoy warm weather in April and May.